: Board Collector: World's most famous surfboards 2- Blue deck yellow rails single fin from Brady Bunch Curse of the Tiki episode 4. 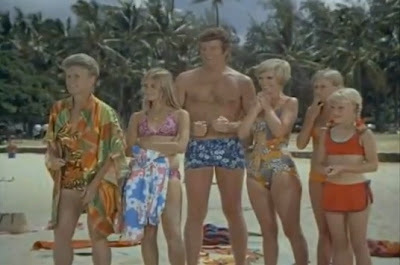 World's most famous surfboards 2- Blue deck yellow rails single fin from Brady Bunch Curse of the Tiki episode 4. This is the second in a series of postings where I try to determine the worlds most famous and culturally valuable surfboards, where they are now, examine their history and celebrate their obscurity. The definition is simple, the surfboard the most people have seen and are aware of. We need to determine is. a) How many people know of this board? c) Where is it now?